Here is the arrest video. 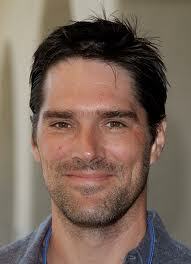 Criminal Minds star Thomas Gibson was arrested early Sunday on suspicion of a DUI, TMZ reports. Gibson, 50, was driving in downtown Los Angeles at approximately 1 a.m. and attempted to drive through a section that was blocked off for a half marathon, law enforcement officials tell the site. Gibson was stopped and told he could not drive through the blockade, but he proceeded to do so anyway. Police eventually stopped the Dharma & Greg alum and detected alcohol on his breath. According to TMZ, Gibson refused to take a breathalyzer test and was then arrested on suspicion of misdemeanor DUI. He was taken into custody at 1:37 a.m., and his bail was set at $15,000.